“I spent 12 years in captivity. 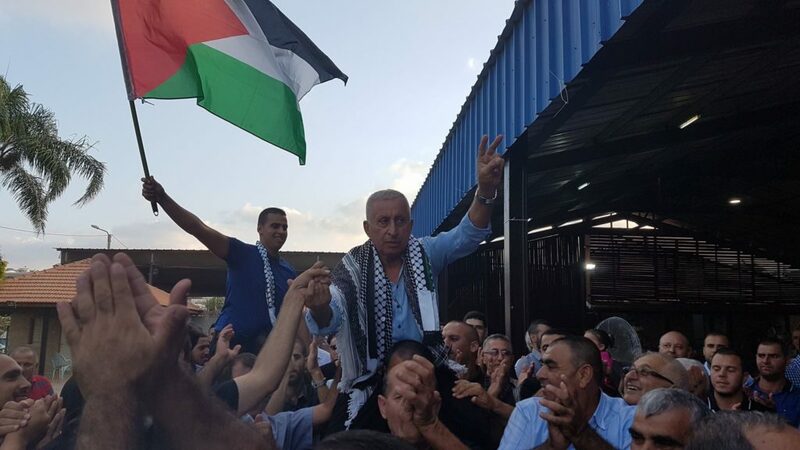 At the time of my release, my brothers sent me with a message to the entire Palestinian people that the issue of the veteran prisoners must be brought forward strongly and clearly and not left to the ‘good will’ of the occupation,” he said. Seized in 2005, Khalaf was accused of communicating with “the enemy” and supporting Palestinian resistance. He is a member of the Central Committee of the Abna’a el-Balad movement, a progressive Palestinian movement in occupied Palestine ’48. 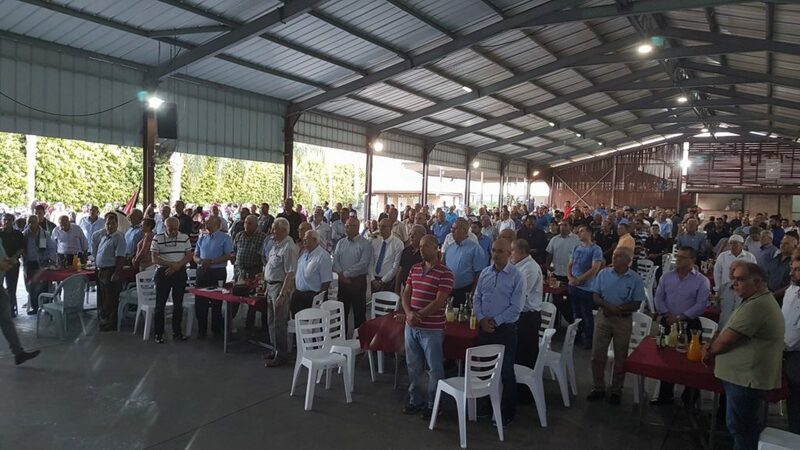 Hundreds welcomed him to his home village in a festival organized by the Abnaa el-Balad Movement with the Higher Follow-Up Committee, the Freedoms Committee and the Committee on Prisoners on Tuesday, 26 September. The event included cultural presentations and political speeches; Raja Ighbarieh of Abnaa el-Balad delivered the main speech at the event. 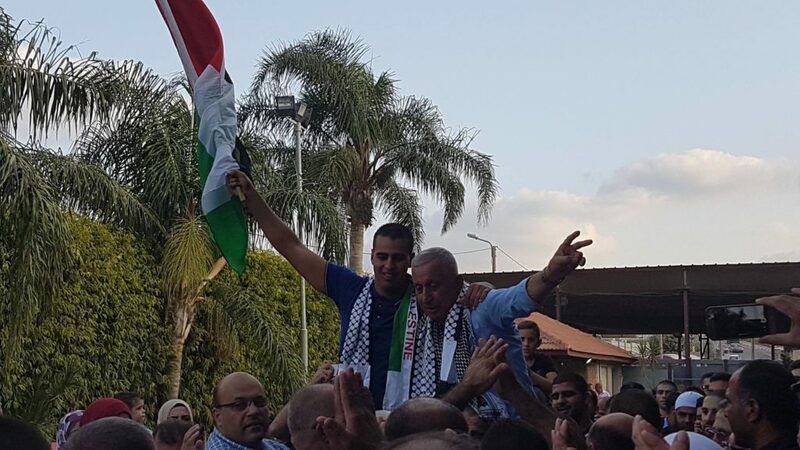 During the celebration, he presented an appeal from the long-time prisoner Walid Daqqa made on behalf of the veteran prisoners and those from occupied Palestine 48, urging that the Palestinian resistance and the Hamas Movement include these prisoners in an exchange deal and demanding that PA president Mahmoud Abbas reject negotiations without the release of prisoners, including the pre-Oslo prisoners who have served over 24 years in Israeli jails. 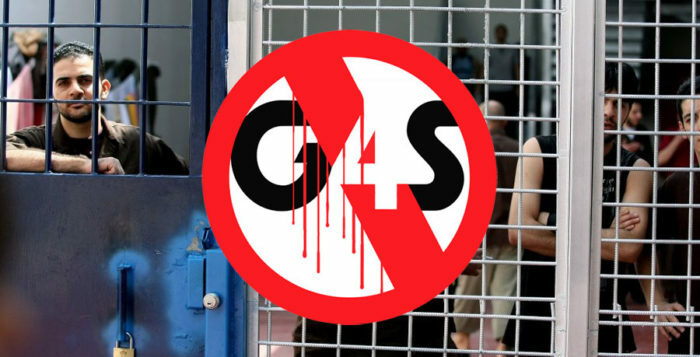 Daqqa’s statement emphasized that the Israeli state has repeatedly refused to release Palestinian prisoners from occupied Palestine ’48 in exchanges with Palestinian and Lebanese resistance factions, especially since 1985, deeming them to be an “internal issue.” There are currently 153 Palestinian prisoners from occupied Palestine ’48 in Israeli jails. 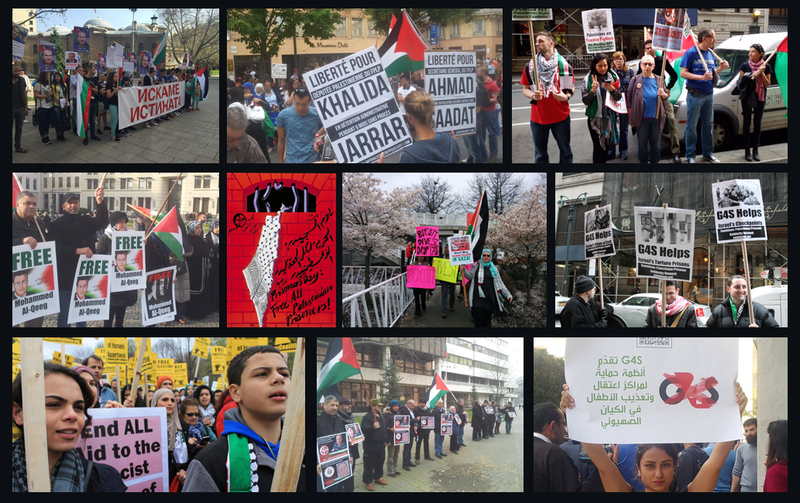 In 2014, the Israeli occupation had pledged to release a fourth batch of pre-Oslo prisoners on 29 March 2014 as part of “negotiations” with the PA under U.S. auspices. However, the Israeli occupation refused to complete the release and those 30 prisoners remain in Israeli jails today.